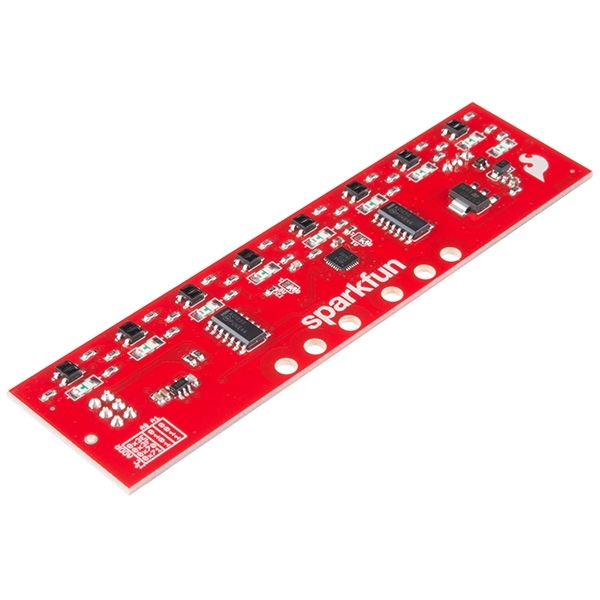 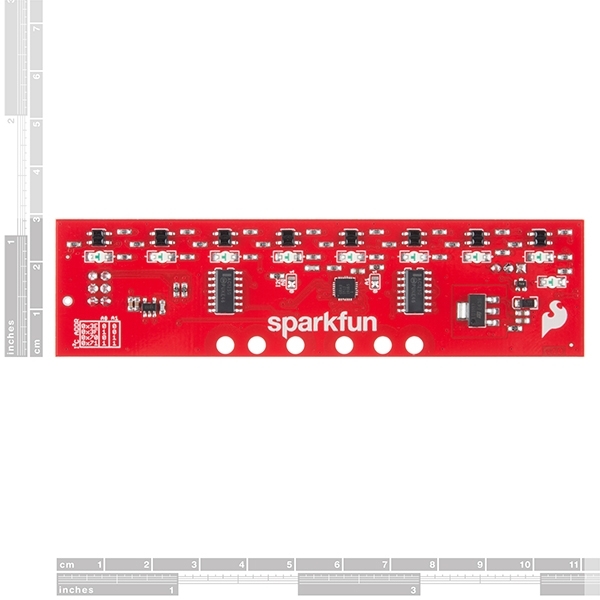 The SparkFun Line Follower Array is a long board consisting of eight IR sensors that have been configured to read as digital bits! 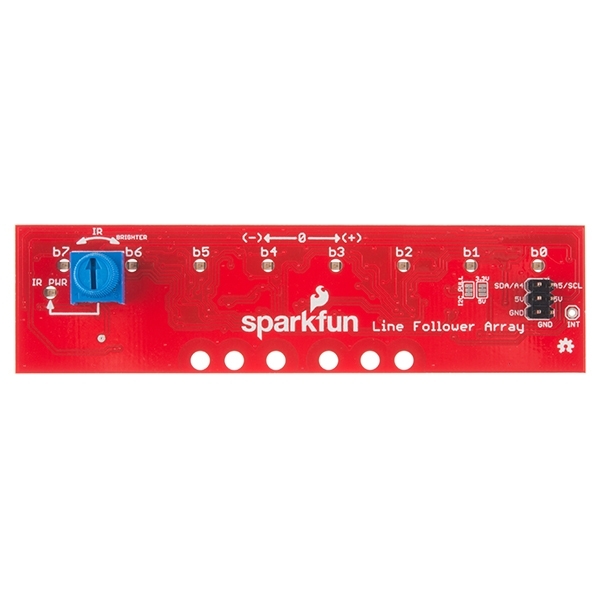 We have designed the SparkFun Lin Follower Arrays to follow a dark line of about ¾ inch width or smaller (spray paint or electrical tape) on a light background. 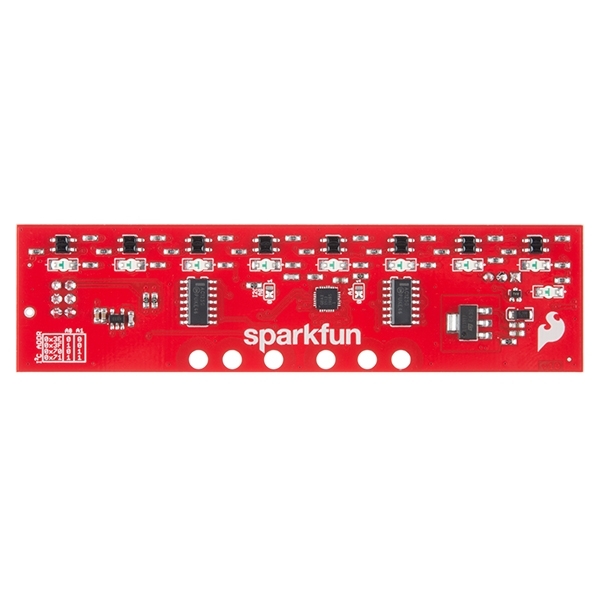 Each array features visible LEDs that point upward when the board is attached (properly) so you can see what the robot sees, brightness control right on the board, and an I2C interface for reading and power control. 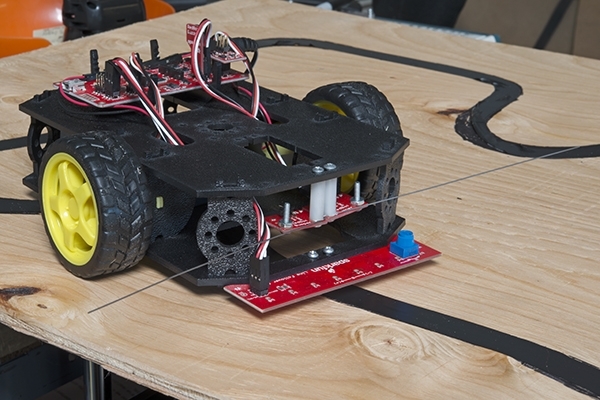 Here at SparkFun, the RedBot Shadow Chassis was used as a test platform but really this was designed as an add-on for almost any bot.